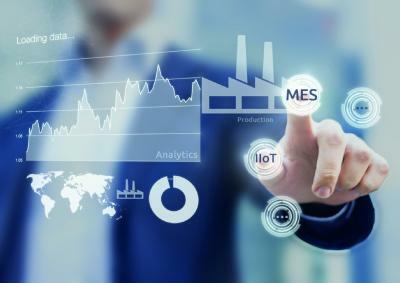 For many manufacturers and customers, cloud-based manufacturing execution systems are still just a vision. 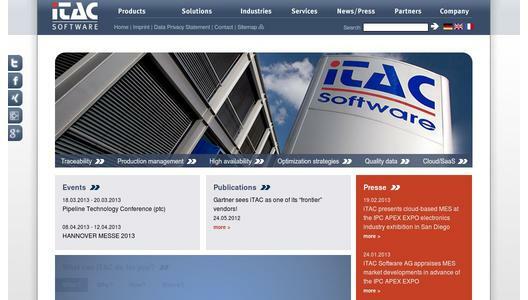 iTAC Software AG (http://www.itacsoftware.com) is already deploying the solution. Several iTAC customers have opted for the cloud-based MES, which is hosted in a Fujitsu Technology Solutions GmbH data center. At the IPC APEX Expo in San Diego from February 19 to 21, iTAC will be providing visitors with practical demonstrations of how reliably this efficient cloud-based model functions at booth 1947 in hall B2. The iTAC.MES.Suite contributes to quality assurance and process optimization with the objective of zero PPM in high volume and multi-variant production. It is used by enterprises of all sizes and in all sectors, particularly in the electronics and contract manufacturing segments. iTAC also offers companies the opportunity to deploy a manufacturing execution system with the assistance of Fujitsu‘s “ISV Cloud Program“, eliminating the need for managing their own server infrastructure. These customers can use the cloud-based iTAC.MES.Suite functions instead. iTAC Software AG’s cloud-based MES, which is hosted in the Fujitsu data center, is globally unique. Various companies such as MID-TRONIC Wiesauplast GmbH have already opted for cloud-based MES. 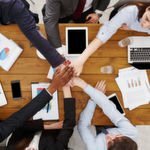 The model offers the customer excellent opportunities to reduce resource, know-how and investment requirements for procurement, implementation, operation and updates. “MES in the cloud is still a vision of the future for many enterprises. We are the first MES manufacturer to have actually developed a cloud solution. Small and medium-sized enterprises can now profit from MES services on a platform that satisfies maximum security requirements. It enables the electronics industry and other sectors to meet the challenges that they face today across the entire supply chain,” explained Peter Bollinger, COO at iTAC. For further information visit the iTAC at IPC APEX Expo in San Diego (Booth 1947, Hall B2) from February 19 to 21 or check out the website at www.itacsoftware.com. iTAC Software AG is a system and solution provider specializing in Manufacturing Execution Systems (MES) with an effective production philosophy. In accordance with this philosophy, iTAC develops, integrates and maintains its platform-independent iTAC.MES.Suite for manufacturing enterprises around the world. The software facilitates considerable quality improvements along the entire process and production chain up to zero defect production. The service architecture comprises a comprehensive range of functions such as Traceability, Production Management, Advanced Production Scheduling, Computer-Aided Quality and Material Logistics, plus add-ons. As a result of its high level of standardization and technological basis, the iTAC.MES.Suite can be used for practically all factory manufacturing operations. iTAC is headquartered in Germany and has branch offices in France, the USA and China.